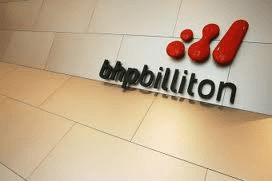 Late yesterday, BHP Billiton made the expected announcement that the company would split, with a new company created to manage a selection of under-performing assets. The company said in a statement that it, “plans to create an independent global metals and mining company based on a selection of its high-quality aluminium, coal, manganese, nickel, and silver assets”. The new company will be based in Perth and will be called NewCo. BHP Billiton will keep what they call their ‘four pillars’; all iron ore, copper and petroleum assets as well as most coal assets. This means that BHP will continue as owners of BMA and BMC in Queensland as well as all coal assets in NSW. However NewCo will take over Illawarra metallurgical coal assets including Dendrobium, West Cliffs, and Appin mines. The Cannington lead and silver mine in Queensland and the Worsley alumina operations in Western Australia will also demerge to NewCo along with the Groote Eylandt Mining Company in the Northern Territory and the Tasmanian Electro Metallurgical Company. BHP’s Nickel West operations in Western Australia will remain on the market and are not expected to be absorbed into the newly created NewCo, but will be sold off altogether. Current director of BHP Billiton, David Crawford, has been named as the inaugural chairman of NewCo, with BHP’s current Chief Financial Officer, Grahmam Kerr given the role of Chief Executive. The demerger is expected to be fully completed in the first half of 2015 with approximately 24,000 staff affected by the changes.